In 2012 and 2013, it seemed as though everyone had collectively decided to read the same book, like a big, countrywide book club was somehow agreed upon. That’s an exaggeration, but only a slight one. A Game of Thrones, roundabout 2011 (more than 10 years after it was published). The Devil in the White City, about 2003, and The Da Vinci Code, lord help us, around the same time. And then in 2012, Gone Girl. If you’d finished the book already, you could watch other people as they read it, on the off chance that they were about to turn the page and lose their minds, and from time to time, it would happen. You’d watch them experience what you’d experienced. They were flummoxed. They’d been had. 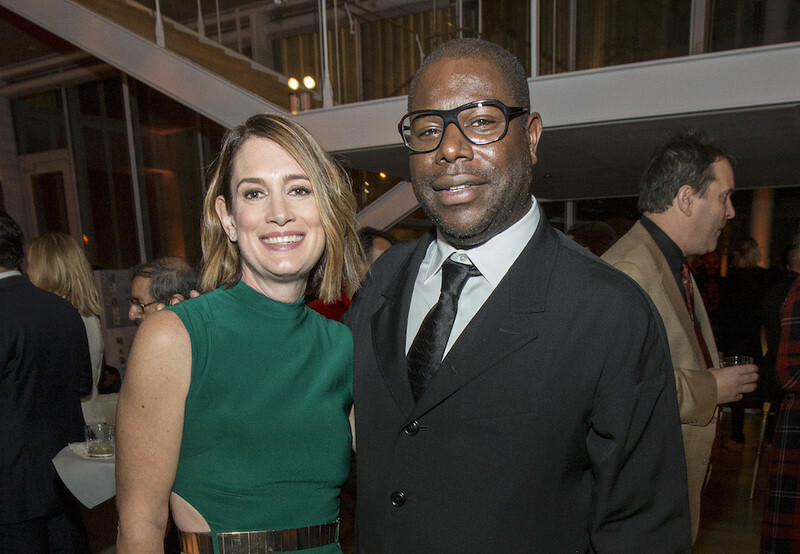 They learned what you already knew to be true: That Gillian Flynn is clever, and wily, and absolutely ruthless. The result is well worth taking the plunge. 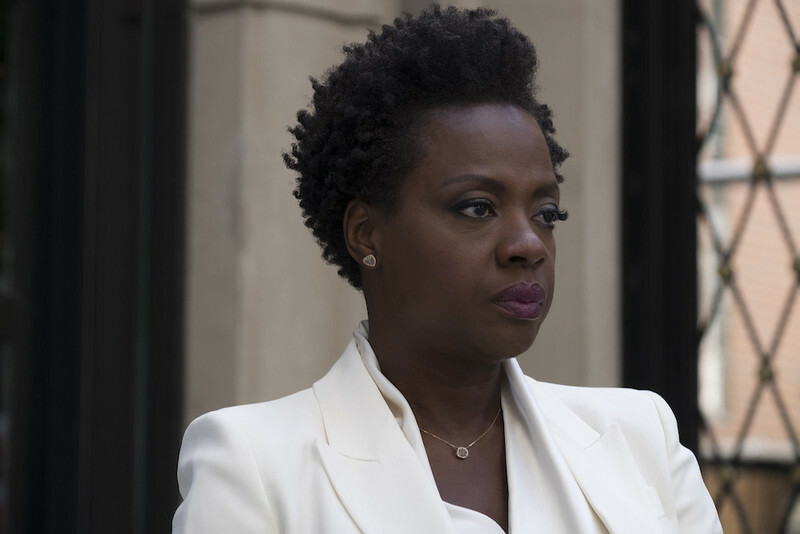 “Widows” isn’t unrelentingly bleak by any stretch—if you need to check out for a minute, McQueen’s painterly eye means every frame is worth studying—but it’s every bit the wild ride promised. It grabs the viewer by the throat from the earliest moments and rarely relinquishes its hold, a grip maintained both by the uniformly excellent ensemble and Flynn and McQueen’s fiendish screenplay. 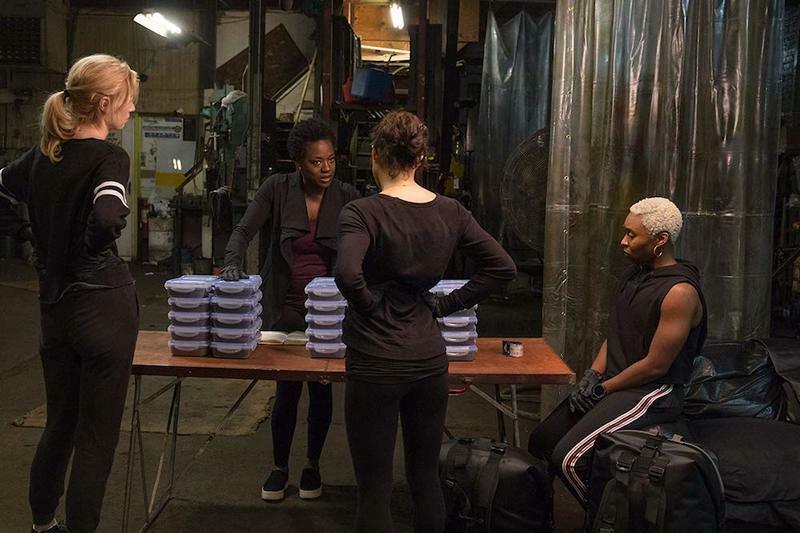 “Widows” is worth seeing in a theater, perhaps more than once if only to watch other viewers like one might have watched a “Gone Girl” reader a few years back. Watch them revel. Watch them reel. Watch as Flynn gets ‘em, as she so often does. 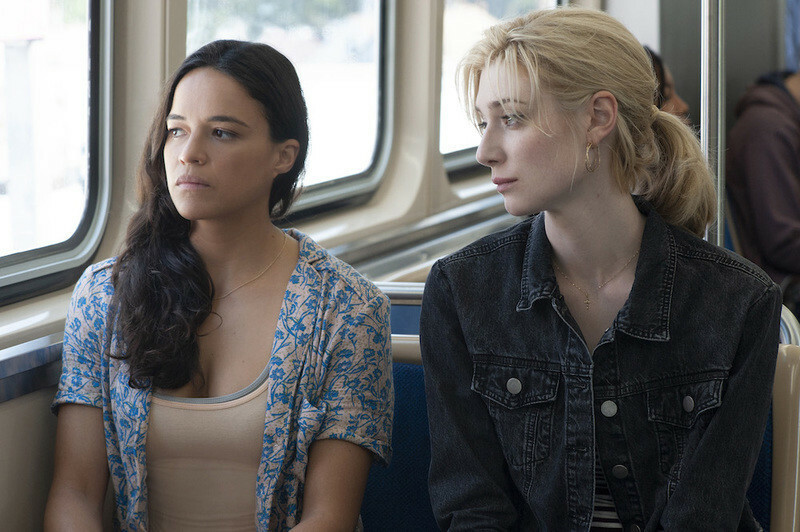 RogerEbert.com spoke with the writer on the heels of “Widows” screening for a rapt audience at the Chicago International Film Festival last month. What was it like to watch the film last night [at CIFF]? It's good! It's fun to see it with a Chicago home crowd. I mean, I've seen it enough times, I didn't really need to see it that eighth time, but I really wanted to see it with a Chicago audience. Hearing people recognize locations, I think it made things all the more tense for the audience. Absolutely, it was really fun for me. One of the great things about your work for film and TV is that it sometimes feels as though someone handed you a giant pile of money and said, "Here, take all this money and make the movie that plenty of women want to see but which never gets made." Ah, thank you so much, that's great. Is there any sense when you're writing for the screen, that you're getting to do things you wish other people would do, or writing characters you wish others would write? You know, I write characters that I want to write and that I want to see, that's for sure. And yet, I still don't think—I think it's insane. I think it's crazy that we're still not there yet. Whether it's a really tough character, like the characters here in "Widows," or a wounded character like Camille [from "Sharp Objects"] who's kind of battling her way back to sanity, or a sociopath like Amy in "Gone Girl" ... we should see the full range, the human scale, of women. We should see complicated, interesting women. I want to see interesting characters, first and foremost, on screen, and we have a lot of interesting male characters, so I guess that's been my main thing. Let's have more. More, please. More interesting female characters. You've said in the past that you wrote “Sharp Objects” so that you could use all the trappings of genre to write an in-depth, complicated character study. Was your approach similar with “Widows” and the trappings of the heist movie? It's such an intimate portrait of these four women, and of Veronica [Viola Davis] in particular. That was very much intentional. I wouldn't have signed on to do a heist film [otherwise], that personally wouldn't have interested me. You know, I always feel like I write character studies first and foremost. I'm interested in character studies, and I'm interested in saying something about whatever is going on in society right now. Whether it's, you know, women and rage in “Sharp Objects,” or looking at gender and marriage in “Gone Girl,” or whatever it is. I figured out the best way to do that, or one of the easiest ways for me as a writer, is that [genre] gives me the discipline to not just sit around and write big-picture things. It gives me the discipline to keep moving, and it gives me that engine to go through. So when Steve came to me with “Widows,” number one, I thought it was the coolest thing in the world that he was following up "12 Years A Slave" with a heist film. Second, I suspected that he had the same kind of thing in mind, that he didn't want to just do a heist film, that he wanted to explore all the possibilities. When we first met, we met in New York, this would be three years ago now, and we quickly sort of realized that was the idea. That we wanted to talk about race, and gender, and where the world was politically right now—and also make a really badass heist film, too! But to use that heist film as—kill me for the pun, but I worked for Entertainment Weekly, I can't stop—use it as a vehicle [groan] to move us through, and keep us going, and keep us entertained. Those are my favorite kinds of movies, my favorite kinds of books. Because, you know, if the audience just wants to go and see a really cool high film, they can totally access it on that level, and have a great night at the movies. But there's more there, too, and you can have a really interesting conversation afterwards. Yes! God I should rewatch that, I haven't seen "Rififi" in a long time. With both films, there's a sense of underlying dread, yet so often when you watch a heist movie, it's something like the "Ocean's" flms, almost purely escapist. Yeah, and that can be a lot of fun. But here, there's this pervasive doom that’s pulling at your ankles, even when it's thrilling, and I'm curious how you struck that balance. Well, we went through a lot of drafts. I mean, we were constantly being each other's checks and balances ... I have a whole wall in my office at home as a whiteboard and for awhile, it was just taken over by "Widows." One piece of it was the characters, the women, keeping track of them purely as characters: Who are they? What are they like? What are they in to? Trying to figure them out, flesh them out. One piece was the pure clockwork of the heist: Where we are, what we know—which is so important, you know, with the twist. And another piece was the more suspenseful elements. And that was just really a constant [balancing act]. Volume to 11? Do we go back down to 9? What do we want here? We had those conversations. We talked about movies like "The Killers," you know, which Steve and I both really, really like. Oddly enough, I don't remember "Rififi" coming up, but we talked about "The Killers," and [asked ourselves], do we want it as dark as this? Do we want it [to have an ending] where no one gets off, no one has a happy ending? Who has a happy ending? Does anyone? How bad does this go? And how bad does it get? Is anyone redeemed, is no one redeemed—these kinds of things. How black is this night going to get? And so we were doing gut checks on that, and we both, at some point, became very attached to the Alice [Elizabeth Debicki] and Veronica [Davis] relationship, and to the Alice character. And so with that, we were able to inject a few more slightly more lighthearted moments here and there, through her. Somewhere [in those conversations], I don't know if there was a specific moment, or if it just evolved that way, we realized we didn't want it to be completely without [light]. We wanted the widows to have at least, you know, a few moments of joy, or at least camaraderie, somewhere along the way. You have a knack, both in your novels and on-screen, for writing moments where people do something so awful, but not physically violent, that readers or viewers actually physically recoil. The use of the word "ripe" in “Sharp Objects,” for instance, and there's some of that here, too. It's often just language, but it's so cruel. How do you draw characters that are so creatively nasty? "Creatively Nasty: The Gillian Flynn Story." I like it. I guess it's because I don't feel like I write violence well. That doesn't come to me. I've never been someone who set out to write serial killer novels, for instance. To me it's all about psychological damage we do each other. That's much more interesting to me. Also as a reader. In real life, and as a reader, and a viewer, those are the moments that tend to stick with me more than the physically violent moments. And actually, if something gets too physically violent, especially torture and that sort of thing, I don't watch it, oddly enough. People always think, "Oh, you're going to love this, it gets so [messed up] and I'm always like, "Actually, umm ... " [tugs at her collar]. So it's about the violent damage you can inflict on the mind, rather than the body? Yeah, and you know, different things hit people differently. So I'll get reports back [about] "Sharp Objects," and it'll be different moments and different things. I know certain things will hit. Like in "Sharp Objects" when Adora [Patricia Clarkson] says, "You know, I think I realized why I never loved you," that had been in the book, and it worked, and the "ripe" moment had been in the book. So there are certain things that had been test-driven that we knew should stay. But then, there are things you don't [expect to affect people]. It's definitely a Rorschach test to see who's going to find what hits them the hardest.